Devpreet discovered Kundalini Yoga on a trip to Canada, and was immediately hooked by its transformational powers, it was like the world had been removed from her shoulders. When again she stumbled upon it in Sydney, she knew it was destiny and thus began her journey to become a teacher and share her passion of Kundalini Yoga with the community. 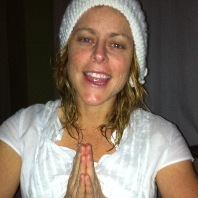 She believes deeply in the healing qualities of Kundalini Yoga and how accessible it can be for all. She is the founding member and creator of the first ever not for profit, Kundalini Yoga Collective, which makes the teachings affordable and accessible but also is strongly focused on building a community of teachers who come together with the one common purpose to serve. Devpreet is the organiser of the Ajai Alai Asia trainings in Australia, a level 2 teacher and an Associate Trainer in the Academy. 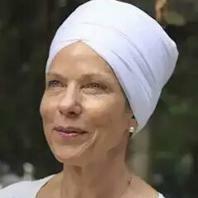 She is the founding Director of the Kundalini Festival Australia. She’s currently studying Sunchild Yoga, Gestalt therapy, numerology and breath work to expand her knowledge base and continue to uplift others in their journey. Harjinder is a KRI Professional Trainer and an accredited teacher with Yoga Australia. 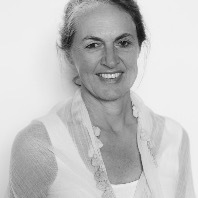 She serves as the Organizer of White Tantric Australia. At a time of great challenge in her life, Kundalini Yoga opened the doorway to her inner strength, potential and grace. She has since wholeheartedly dedicated herself to serving others, students and teachers alike. She has the capacity to meet people where they are, to see and trust in their ultimate potential and to inspire them to find their own greatness. Her passion includes working therapeutically with students with PTSD and supporting single parents to regain self value, confidence and expressing leadership in their life and circumstances. I Live in Australia. Teaching in English only. Contact me by email sewakslight@gmail.com or phone (+61401850282).